What's New in this Lightroom Release > Lightroom CC iOS/Android Updates > What’s New in Lightroom CC April 2018 release? Lightroom CC desktop now accepts the new .xmp format presets as well as .lrtemplate format presets. You can now filter your photos by their sync status, to find those that are currently syncing, or those that only have smart previews available in the cloud. You can now select your NAS as the custom location for original photos. This is particularly useful when migrating from Lightroom Classic, if you don’t have a spare external hard drive available. The Grain sliders have been added to the Effects panel on iOS and Android devices. The Sharpening & Noise Sliders are now available on Android in the Detail panel. The Upright tool and Transform sliders were added to the Android version in the last update, and now they’re available on the iOS app too. So useful for correcting geometric distortion! When you share a web gallery from your iOS or Android device, you can now access the sharing options without having to open a web browser. If the originals are available in the cloud (not smart previews synced from Lightroom Classic) and you’re using a 64-bit device, you can tap to download the full resolution original for optimal quality. Tap the LR icon (top-left of Organize view) and then go to General preferences > Left Handed Editing to move the panels to the left. Help! “Updating develop presets to XMP” still showing after an hour, I must assume this new update caused this. Can’t do anything in LR …..now what??/!!! As I understand it, the change to bring the Haze slider up to the basic settings is only on the Lr classic pc app. Do you know if there are plans to add this for Lr cc ( pc version)? This is a much used slider and is well hidden in effects (hey – all of the sliders are effects). Oops! Finding that my presets are no longer sorted alphabetically so now have to hunt around for the preset I want. 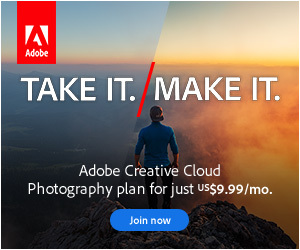 Hopefully Adobe will fix very soon. 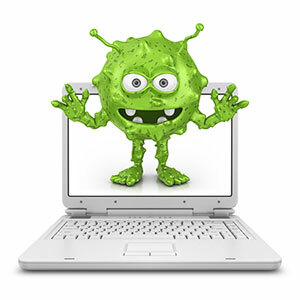 I’ve seen a bug on that, so the engineers are on it. What happens to “Save Presets with Catalog” if priests now have a new home? I actually don’t care where the “priests”live. My concern was with the presets. LOL Michael! Store Presets with Catalog is specific to Lightroom Classic (https://www.lightroomqueen.com/whats-new-in-lightroom-classic-73/). Most presets/templates continue to behave as before, but the new Develop presets get copied to a Settings subfolder instead of the old Develop Presets one. You can put the new style profiles in the same Settings subfolder next to the catalog. How could this preset sorting problem get past the beta testers? They certainly had to know this was an issue before releasing 7.3. All of the new features are really great, except I can’t use them efficiently because my workflow is now broken. There was a huge amount of churn in a very short period of time. In “the old days” of 18 month upgrades, releases would be tested for months and bugs still got through. Today, everything’s moving at 100mph. I didn’t spot that one, but my workflow is not preset-heavy. I’m glad that Adobe finally added an option for left-handed editing. It is very helpful for lefties like me to have the editing tools on the left side. However, this option does NOT flip the star rating and pick/reject quick select swiping shortcuts. This is unfortunate because quickly culling photos is one of the main benefits of using Lightroom CC on an iPad, and it is awkward and slower for left-handed users to move their left hand to the right side of the screen to swipe the flag status up or down . It would greatly help most left-handed users if the pick/select flag selection shortcut was also moved to the left-side of the screen when the left-handed option is selected. It crashed when i want to export the file and the photo , do i have an old version of it and should update it ? What crashed? Lightroom CC runs on 5 different operating systems. Yeah, there’s a number of reports of performance issues caused by the preset previews, so the engineers are looking into options. Excited to see the frequent flow of updates. Tried CC but went back to classic. Love the modern interface and everything being in sync. While many will never be happy until their is full feature parity with classic but for me just a few things holding me back. No photo compare features, no face detection, limited search versus classic, doesn’t support plugins such as syncing with SmugMug, no keyword hierarchy, limited meta options compared to classic. While there are many other differences, hoping those features aren’t too far away as would love to go back full speed into the new Lightroom and as others do I imagine the community will grow for it, since most all literature is for Classic still. how can I open my library in the new lightroom cc version? That depends on what you’re referring to. 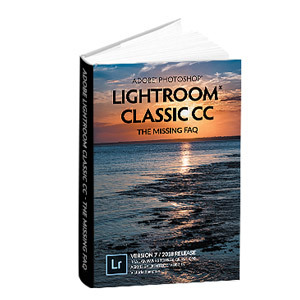 Lightroom Classic 7.4 is the latest version of the old Lightroom CC, which had catalogs. Or Lightroom CC – the one pictured above – can migrate an old Lightroom catalog and store the photos in the cloud. Which are you wanting to use?